As I arrived, I was warmly welcomed by the friendly Brookdale team, who familiarised me with what was to be my peaceful home for the next few days. A 10 minute tour of this gorgeous French-meets-old-English-country styled sanctuary was all it took for me to fall completely in love with everything about Brookdale. From the warm homely décor, happy and friendly staff, to the gorgeous gardens, gym, yoga studio, indoor hydro, sauna and steam room, this place is everything! After completing my treatment profile and dietary requirement forms, while sipping on cinnamon infused Rooibos ice-tea (to die for!! ), I was shown to my delightful room fully equipped with Jacuzzi, lounge area, fireplace and tea station…oh and the view from my bedroom…well, the pictures speak for themselves! Once settled in, I enjoyed a delicious nutrient rich lunch prepared by Juliet, the incredible chef at Brookdale. To start, an Oriental cabbage and seed salad, followed by a pesto and parmesan crusted trout served with steamed vegetables. Totally satisfying and utterly delicious. Meal times are very specific at Brookdale which I learned very quickly after nearly missing lunch. Meals are served at 8am, 1pm and 7pm sharp with nourishing snacks at 10am and 4pm. A little bit of an adjustment at first, but a great way to get your body into the habit of enjoying smaller nourishing meals every three hours. Fish, chicken and eggs are the animal proteins of choice at Brookdale, served only at breakfast and lunch time, while dinner is kept light, incorporating whole grains and veggies. 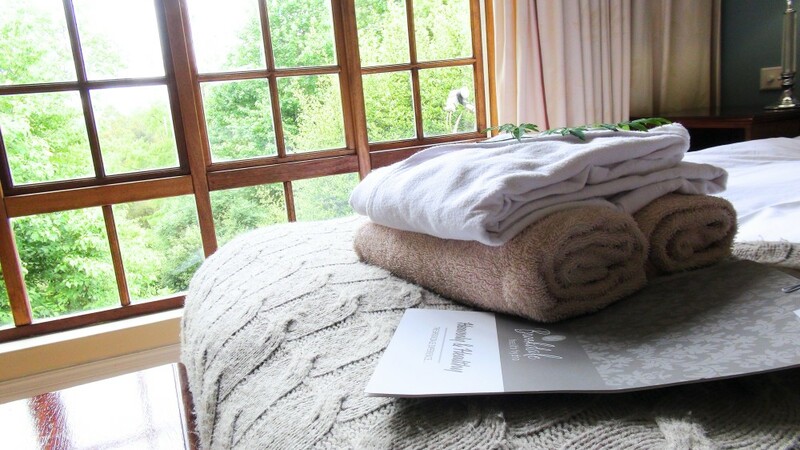 Feeling well-nourished and revitalised after my four hour journey from JHB, I headed to my afternoon pamper session – a soulful 60 min full body Swedish Massage! What a treat!...I honestly felt like a different person afterwards…my muscle tension melted almost straight away! Refreshed and ready to go again, I enjoyed a tough sweat session in the gym area followed by some gentle yoga. I absolutely loved that the yoga studio over looked the beautiful forest that cradles the Brookdale hotel grounds. A detoxing steam and sauna session to finish off the day and I felt brand new! When I returned to my room, I found a personal note from Maks, the delightful massage therapist, in which she included her professional recommendations for further stress and tension relief. I really loved this personal touch…for me it’s all about attention to detail, and this was such a lovely gesture. Dinner was a light sweet potato and vegetable pie followed by baked nectarines, farm fresh vanilla yoghurt and coconut flakes...yum! It was quite a chilly evening, so headed to the DIY tea station just outside the cosy dining rea, where I made myself the most delicious cup of ginger, chamomile, cinnamon and mint tea. Sipping on my tea and sitting in in front of the warming fire, I felt so at peace…so relaxed and content, it just couldn’t get better than this! The next morning I was woken up nice and early to a steaming hot cup of freshly brewed Rooibos. After a gorgeous stroll in the dew lit forest, I enjoyed cubed rosemary infused watermelon and baked tomato eggs for breakfast, and then headed off for some more pampering. I have never tried Reflexology before so I opted for a reflexology foot message. This was fascinating…the massage therapist was able to pick up everything that I was feeling in my body. I love exploring alternative healing methods, and this was really an education to me. It’s truly fascinating how interconnected every part of the body actually is. With all the boxing I’ve been doing lately, I decided to also treat myself to a back neck and shoulder massage which certainly did the trick. I decided to really just relax and soak it all in, so I spent the rest of the day in pure rest and relaxation. I walked along the reflexology foot path, enjoyed the sauna and steam room, strolled the magnificent gardens, spent some time in the indoor hydro Jacuzzi and pool, enjoyed an early dinner and went to bed. A heavenly day to say the least. I felt so refreshed and recharged after my two days at Brookdale, all ready to take on the world again. 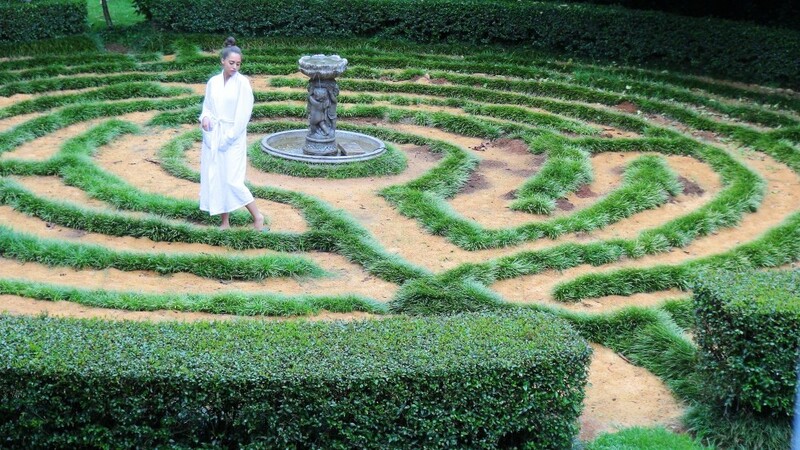 A big highlight for me was the general attire at Brookdale, a simple white robe and slippers is all you need. All the guests (including myself) happily embrace this trend. It’s such a pleasure not having to worry about getting dressed or doing your hair and makeup in a place like this. It’s all about taking time out from every aspect of your daily life. All you really need to bring is a costume, training gear, takkies, slops and a tracksuit. Nothing more. Hair in a bun and off you go. “Wearing your robe at dinner time is totally acceptable”– another one of my favourite things! The warm and welcoming staff at Brookdale make you feel so at home – every team member lives the Brookdale way of life. The food! Oh my word the food is the best thing ever. Each meal is only prepared with wholesome nutrient rich wholefoods – absolutely no refined sugar, no red meat, no milk, only cheeses and yoghurts sourced from small local farms. All breads are made with stone ground flours. It’s a wonderful way to enjoy healthy foods in a creative and delicious way – I have come home truly inspired! 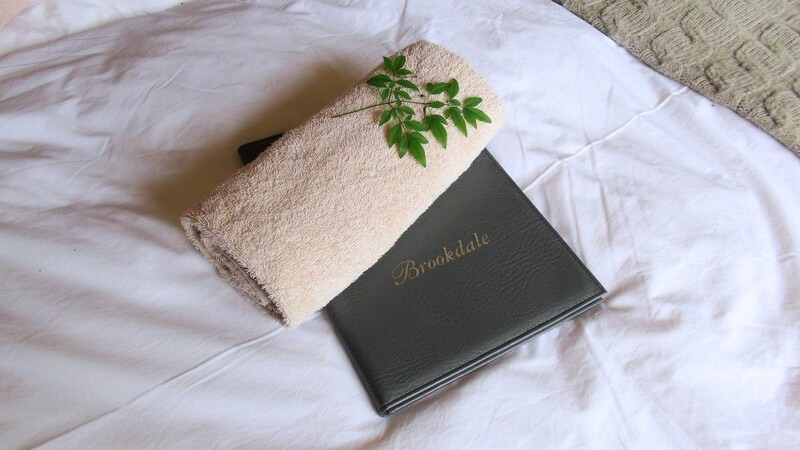 Brookdale has really thought of it all – it’s a delightful place, a heavenly sanctuary, and the perfect wellness retreat for anyone looking to improve their health, escape the crazy of daily life, detox, destress and relax. 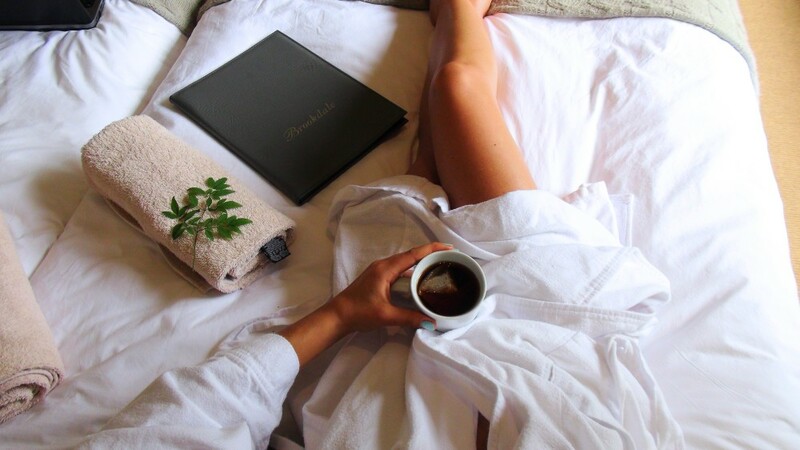 I highly recommend Brookdale Health Hydro, and I genuinely cannot wait to go back…and this time for at least a week! Thank you Brookdale for an incredible and unforgettable stay!